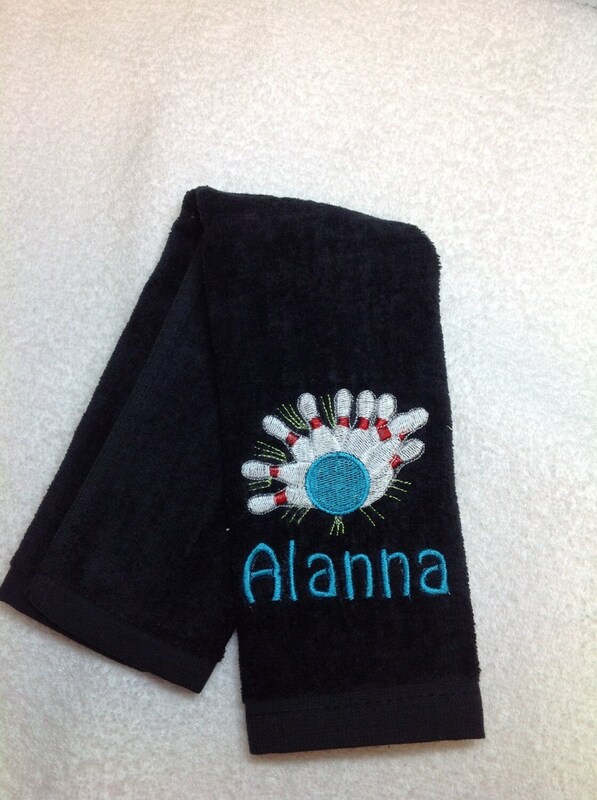 Bowling, Personalized, Bowling towels, any color, with or without grommet and hook. 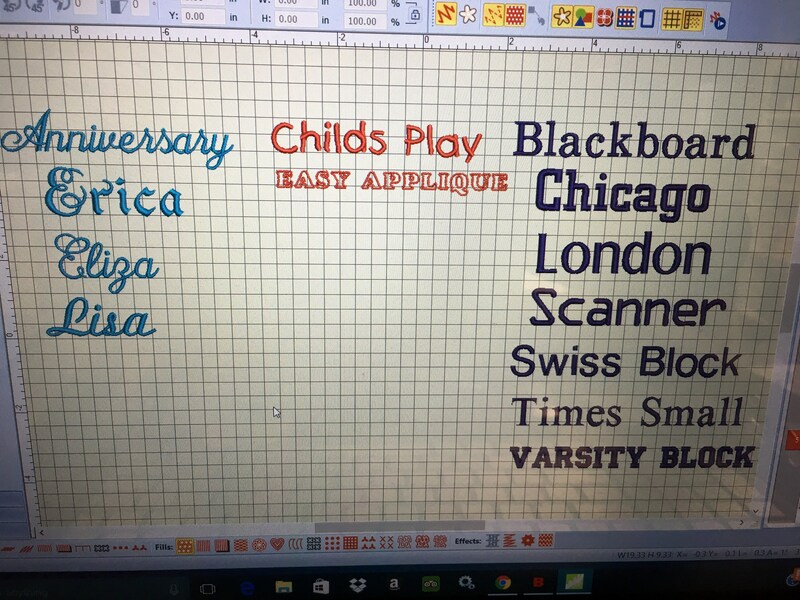 12 x 16 or 16 x 26 choices in drop down. 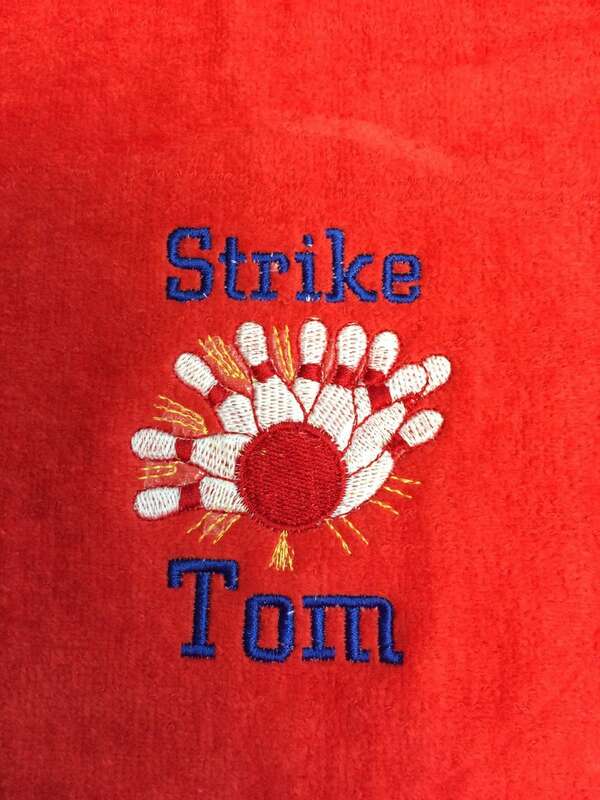 This listing is for one bowling towel with one or two lines of lettering. Please choose the color and size you want in the drop down. 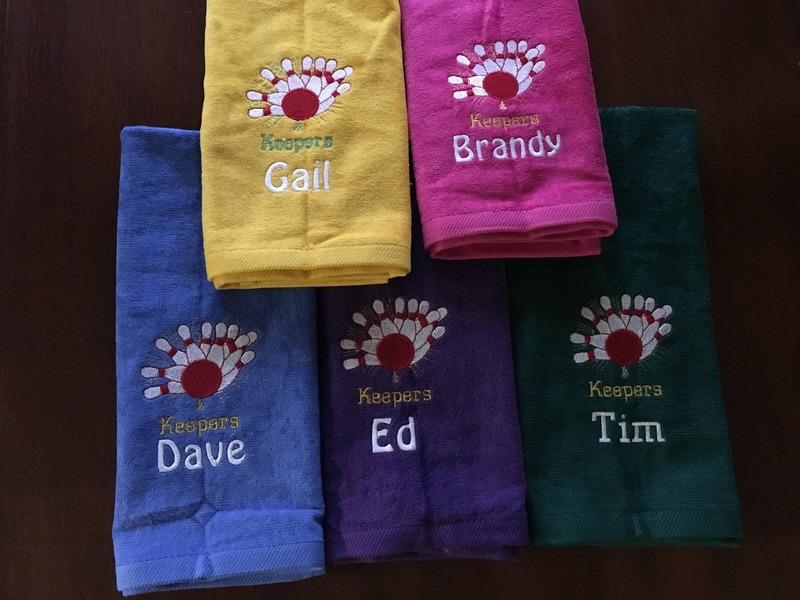 PLEASE list the design, name, lettering and thread colors in note to seller on your order. 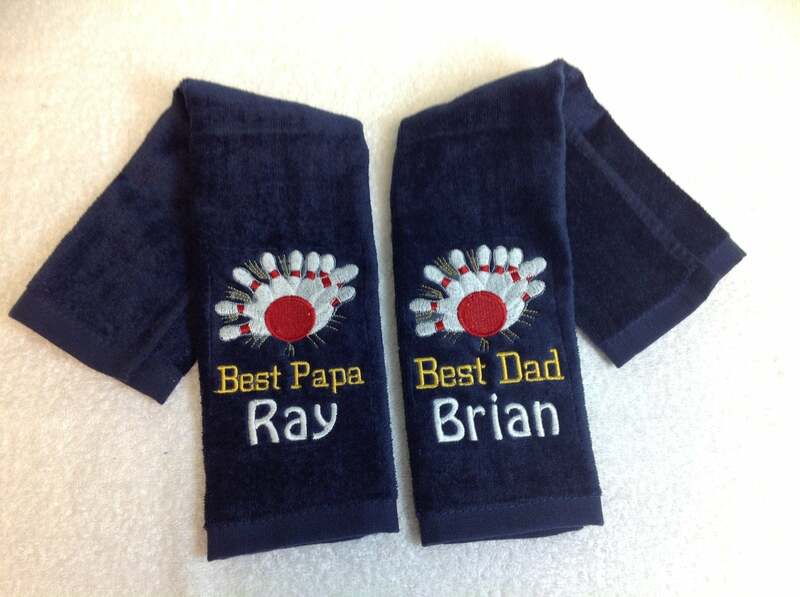 PLEASE message me with any questions or design ideas you have. Ordered on a Friday and was shipped on Monday. Good quality. 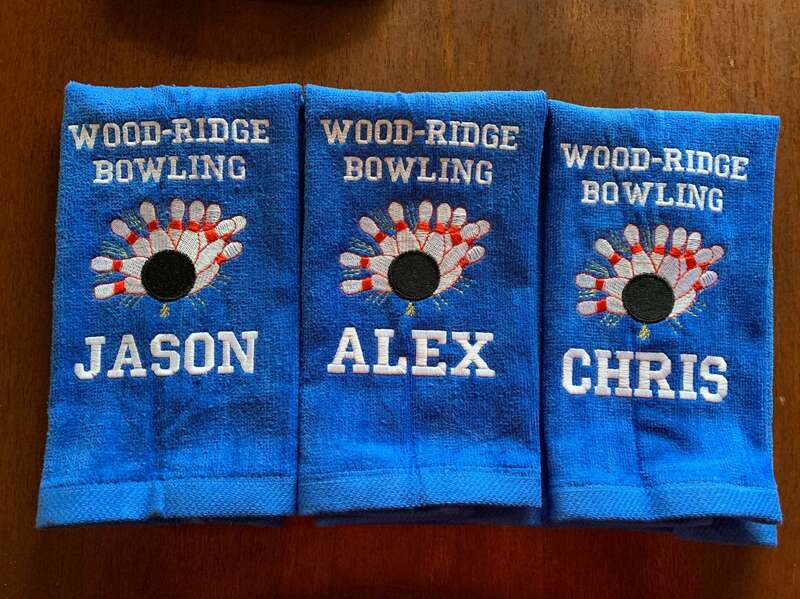 My bowlers loved them. WOW! Super fast shipping. 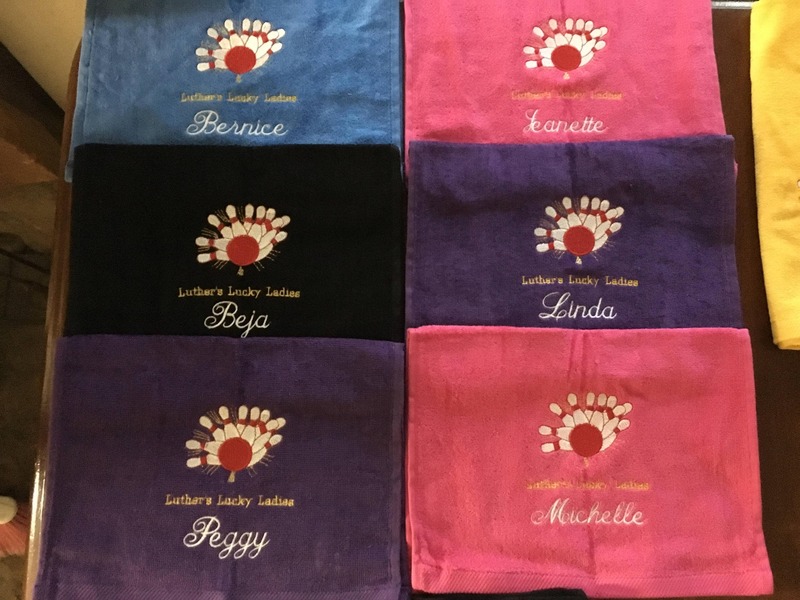 Beautiful stitching with vibrant color thread. Great job. Great service. 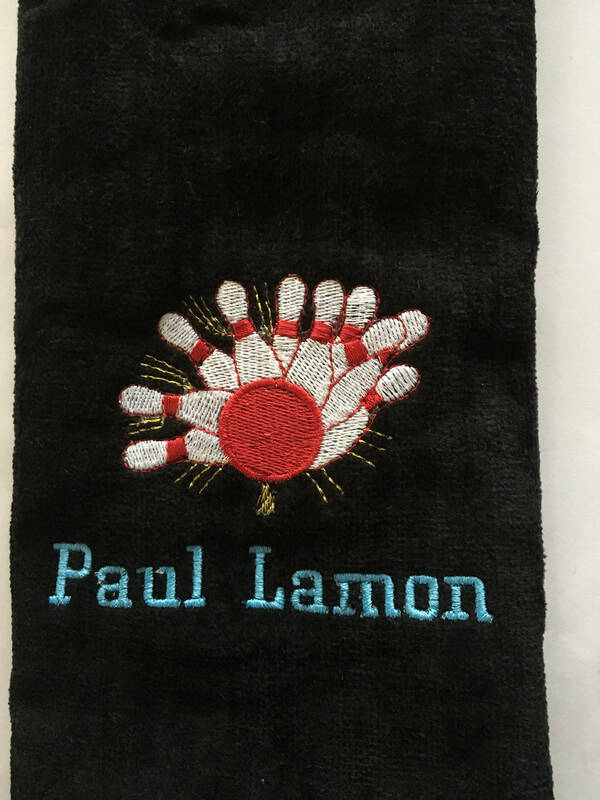 Highly recommend this seller. Prices fair.